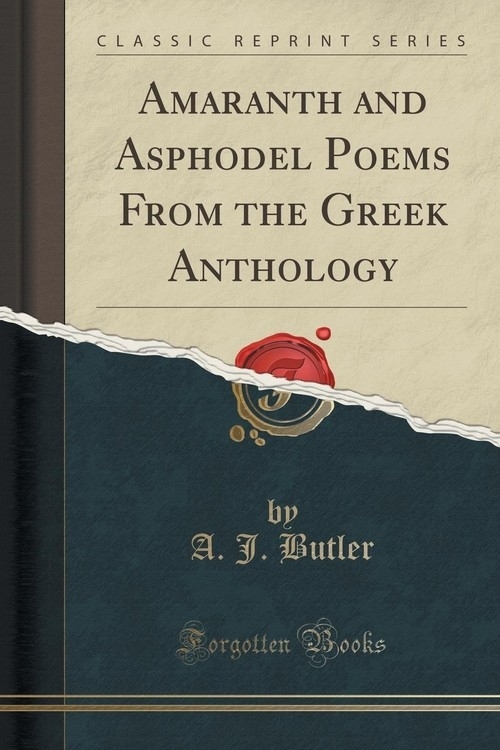 Opis: Amaranth and Asphodel Poems From the Greek Anthology (Classic Reprint) - Butler A. J. The first edition of this little book achieved at least a rarity beyond its merits: for the greater part of it - before it could reach the book-sellers - was destroyed in a warehouse fire. Full forty years have passed since that time, years for the writer full of work which suffered few and short periods of release. Moreover such leisure as College duties afforded was devoted partly to travel, partly to study and research in other fields, in which the interest was oriental rather other than classical. But among other encouragements which I have received in the past I have always treasured a letter from Walter Pater; and this, overcoming a reluctance which may easily be understood, I have resolved to publish. For although I have no wish to parade such praise as it contains, yet I cannot but feel that any letter from so great a writer as Pater has its own interest, quite apart from any special purpose. I should add that the reference to Mr Edmond Gosse is not printed without his sanction, which was duly sought and very cordially given. Szczegóły: Amaranth and Asphodel Poems From the Greek Anthology (Classic Reprint) - Butler A. J.
Recenzje: Amaranth and Asphodel Poems From the Greek Anthology (Classic Reprint) - Butler A. J.